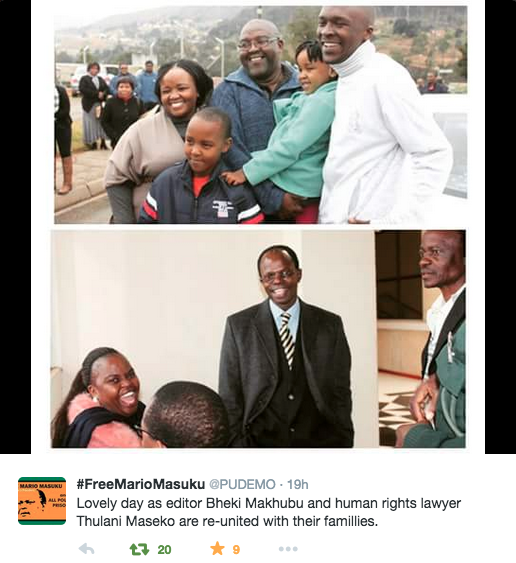 Swaziland’s Media Institute of Southern Africa (MISA-Swaziland) welcomes the release of editor Bheki Makhubu and human rights lawyer Thulani Maseko. 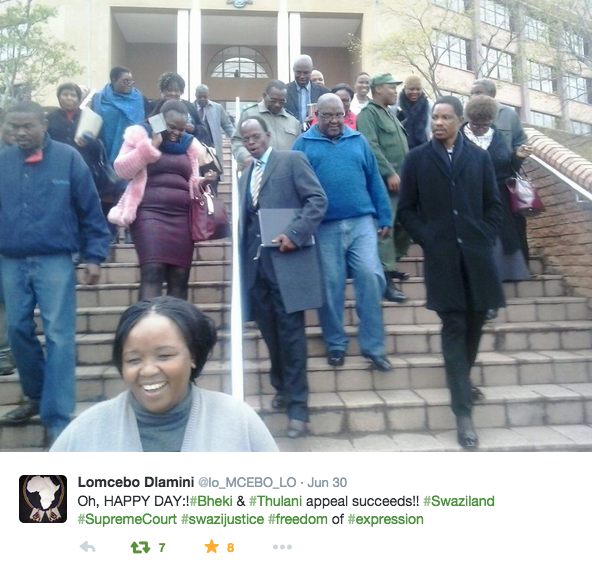 “The courts have vindicated the citizens of Swaziland,” said MISA’s advocacy officer Phakama Shili. He also applauded the government of Swaziland for the appointment of local judges in keeping with the country’s counstitution. Tags: bheki makhubu, media institute of southern africa, MISA, swaziland, the nation, Thulani Maseko. Bookmark the permalink.